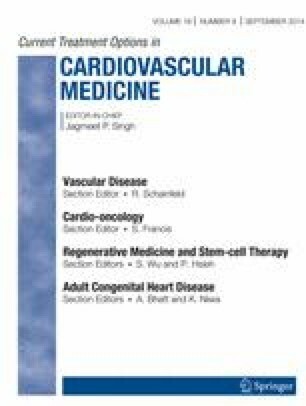 The study of inherited cardiac disorders is hampered by the lack of suitable in vitro human cardiac disease models and relevant functional assays. A potential solution to this cell-sourcing challenge may be the recently described human induced pluripotent stem cell (hiPSC) technology. Pioneering studies were successful in establishing patient-specific, hiPSC-derived cardiomyocyte models of the most common inherited cardiac arrhythmogenic disorders, such as the different long QT syndrome subtypes (types 1, 2, 3, 8), overlap syndrome LQTS3/Brugada syndrome, catecholaminergic polymorphic ventricular tachycardia (CPVT) types 1 and 2, and arrhythmogenic right ventricular cardiomyopathy (ARVC). These studies initially demonstrated the ability of the generated hiPSC models to recapitulate the disease processes in the culture dish. More recently, such studies were also able to provide new mechanistic insights into the disease processes, as well as to derive a unique drug-screening platform to test existing and novel therapeutic treatment options in an environment resembling the human physiological milieu. Moreover, initial evidence suggests that such models can help to optimize drug treatment in a personalized manner in the future. Nevertheless, several hurdles still exist for using hiPSC-based models for the aforementioned tasks, such as the hiPSC-derived cardiomyocytes’ relatively immature phenotype, and also the resulting cell heterogeneity. Extensive research work is ongoing to address these challenges, as well as to add new opportunities for the field by utilizing recent advances in gene editing technologies. Here, we discuss the significant findings that hiPSC-based models have provided for each of the inherited cardiac arrhythmia syndromes so far, and the current challenges that this technique is facing. This study was funded in part by the European Research Council Ideas program [ERC-2010-StG-260830-Cardio-iPS], by the Nancy & Stephen Grand Philanthropic Fund, and the Wingarten estate fund. MSc Rami Shinnawi and Dr. Lior Gepstein each declare no potential conflicts of interest. Bellin M, Casini S, Davis RP, D'Aniello C, Haas J, Ward-van Oostwaard D et al. Isogenic human pluripotent stem cell pairs reveal the role of a KCNH2 mutation in long-QT syndrome. EMBO J. 2013. doi: 10.1038/emboj.2013.240. Description of the use of an isogenic control line, by correcting the causative mutation, as an optimal control since it eliminates patient-specific genetic background differences between the control and the diseased cells.